If you told anyone at the beginning of the year that Daniel Bryan would be wrestling for the WWE again by December, you'd likely have been called crazy. What more if you told that same person that not only would he be wrestling, but he'd be WWE Champion and also be a bad guy in the process? For all intents and purposes, we all thought Daniel Bryan was done. For the better part of two years he fought hard to try and return to the ring, and while over time, bits of news and rumors about him possibly getting cleared by doctors would surface, we thought we would never really see him compete. WWE had a hold on his contract, which was approaching its expiry in September earlier this year; after that, he was presumably free to go elsewhere, and other promotions would have no qualms letting him wrestle if experts had said he could wrestle. So in March, a miracle happened—two years after he had to retire in the wake of concussions plaguing his body, Daniel Bryan was allowed by the WWE to wrestle again. It was just in time for WrestleMania, too. And when Bryan set foot in the ring, it felt like he hadn't lost a step at all. 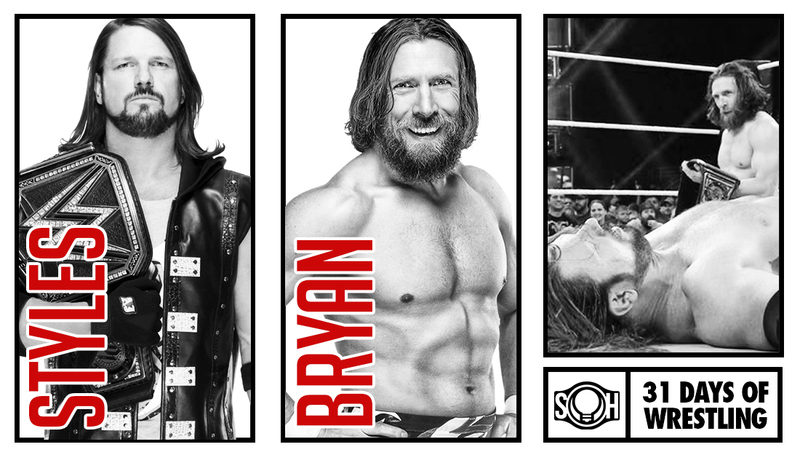 In the months following his return, Bryan found himself embroiled in feuds that were seemingly designed to warm him up before resuming the top spot he had to abandon in his retirement. Luckily, he found himself on a SmackDown Live that was all but tailor-made for him: AJ Styles was the reigning babyface, John Cena was now exploring the Rock phase of his career, the Miz was there ready to feud with, and anyone else who seemed like they could rule the show were either getting old or still untested. SmackDown was ready to be main-evented by Daniel Bryan. So when Daniel Bryan was finally inserted into the WWE Championship picture opposite AJ Styles, it didn't take long—only the second title match in their feud—for him to win the title. Oh, and the beloved babyface threw in a shocking heel turn, too. All of this on the penultimate episode of SmackDown Live before Survivor Series. The turn wasn't just something to freshen him up—the fact that Bryan had apparently been angling for it for some time now was also a low-key testament that he had amassed more clout backstage since we last saw him. Going a different way, letting him take the reins, and even looking damn good against a game Brock Lesnar reflect this; now everyone knows Daniel Bryan is no longer an underdog to be pitied and encouraged. He has become the ruthless establishment because he has been tried and tested. The strangest part is somehow, that's okay with us. All fine and dandy, no complaints here. At the end of the day, we're just glad that we still have Daniel Bryan here with us, wrestling and having the time of his life. We're ready to move with him on to the next chapter of his career, a career we're all lucky enough to continue witnessing. 2018 is crazy.